We are closed on Sundays + Mondays??? When we first stumbled upon the location of Ford + Shep, the spark wasn't fully ignited, but it was there. As the building began to take shape, we knew we had something truly unique and that it would be part of something special; encapsulated within the exciting transformation of Uptown Greenville and specifically Dickinson Avenue. From the initial conceptual stages, we knew at least one thing: we didn't want to bound by the confines of a genre or style of cuisine. Our menu, much like our atmosphere, is eclectic and always evolving and changing. From the moment you walk through the door and down the winding blue hallway, we hope you have an experience like no other. It began in Vermont at the historic, five diamond resort: The Red Lion Inn. Brandon was just a teenager when he realized he wanted to be in the hospitality business.? Fast forward to college at ECU and a job at Chef's 505, where Brandon quickly rose from line cook to sous chef. His experience working up through the ranks in the kitchen, combined with his attention to service he picked up while working in the front of the house at the Red Lion Inn, left him primed to go out on his own. ? After opening and crafting menus for several restaurants in Eastern North Carolina, Brandon decided to take a leap of faith and create Red Bird Restaurant Group in late 2016. 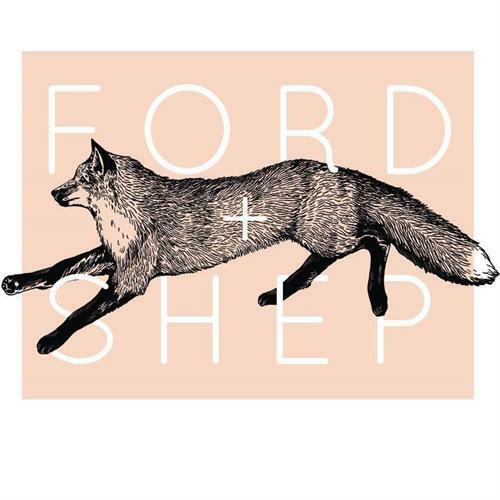 After a grueling year and a half of conceptualization and build-out, Ford + Shep opened its doors on May 16th, 2018.